I loved listening to Darius' story. The action is great, and so is the romance. Caleo Griffith does such a great job narrating. His voice just purrs. Young Savannah Dubrinsky was a mistress of illusion, a world-famous magician capable of mesmerizing millions. But there was one - Gregori, the Dark One - who held her in terrifying thrall. Whose cold silver eyes and heated sensuality sent shivers of danger, of desire, down her slender spine. With a dark magic all his own, Gregori - the implacable hunter, the legendary healer, the most powerful of Carpathian males - whispered in Savannah's mind that he was her destiny. This is one of my favorite stories in this series. Sean Crisden does a great job with the narration, too. 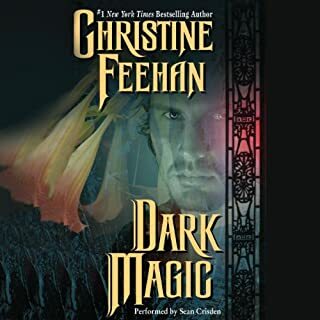 This series changes narrators constantly, and not all of them are as awesome as Sean is. Narrators make or break the story. Having said that, receiving insight into the personal torment Gregori has gone through in his long life, and the blossoming of this great man in the love he finds with Savannah was a wonderful read. Great men need a great woman by their sides, and I loved watching Savannah come into her own. 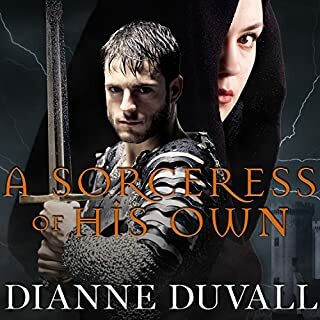 Great story by a great author, Diane Duval, and the narrator, Kirsten Potter, does such an awesome job! This is one of my favorite series. Lots of action, lots of steamy love scenes, and a great plot. This is an excellent series, if you like smoking hot paranormal stories. I am so glad that I found them. Lots of action, lots of romantic interludes, great story line. This series goes great with my collection of Immortal Guardian series by Diane Duval and the One True Mate series by Lisa Ladew. Riordan is an immortal Carpathian male, trapped and caged, his honor compromised by his captors. They're in his mind. They're in his blood. And not one can withstand his desire for revenge. Juliette is an activist devoted to liberating animals from a secret jungle lab. What she stumbles upon is a prisoner like no other. She will release him from his bonds. He will release her from her inhibitions. I loved this story, which gives us greater insight into another race, the Jaguars, which we have only heard bits and pieces of up until now. I am just sorry that this story was so short. So much more could have been said and done. 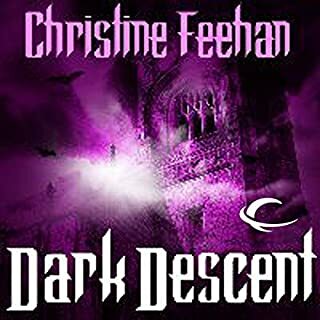 Dark Descent tells the story of Joie Sanders, a bodyguard and Traian Trigovise, an ancient hunter, meeting after a battle in a deep cave filled with mystery and wonder. 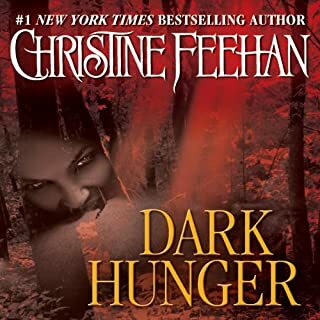 Set in the Carpathian Mountains, Joie, with her brother and sister go caving and come across the ancient warrior beset upon by several vampires. They have no choice but to throw their lot in with the hunter and do their best to escape with their lives from the underground labyrinth filled with ancient traps left behind by a powerful race. 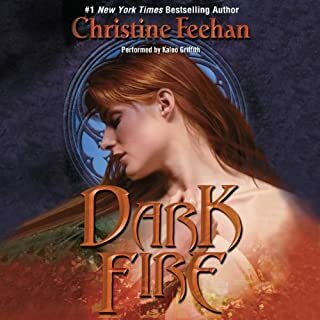 This was an awesome book, I enjoyed it immensely, but it ended way too soon, leaving me feeling as if the story is unfinished. It is only 4 hours long, and there was so much more to say!! Since the day Lord Dillon earned his spurs, rumors of his savagery on the battlefield have preceded him into every room, stilling tongues and sparking fear. Weary of battle, he wishes only to find a woman he can wed who will approach him not with fear but with the tenderness that has been absent from his life for so long. Yet only the wisewoman seems invariably at ease in his presence. I thoroughly enjoyed this book. It had a good story line, and just the right amount of romance. Plus it ties into the Immortal Guardian series Dianne Duvall has written, which I just love. Kirsten Potter does a great job of narration for both series. I am so looking forward to more stories in this series. Dannika Dark has done a great job creating this series. There are lots of great love scenes, but there are also lots of action packed moments and a great story line. Guaranteed, the Bad Guy is gonna get it!!! I love it that all of my favorite characters from the previous story are still there, in the new story I am enjoying. 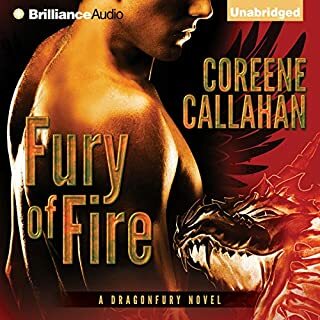 Nicole Poole is an excellent narrator, who has a wide variety of voices, including believable male voices. The emotion she pours into her narration puts me there, right in the middle of the story, experiencing what the characters are experiencing.